A ride on each of our 5 unique zip lines, including one of the longest zip lines in Texas - 1500 ft. The Beaumont Ranch Zip Line Adventure is the most popular adventure activity at the ranch, reservations are required. Up to six people can participate in the same Zip Line Adventure tour. Contact the front desk for group scheduling information. Beaumont Ranch provides the proper safety equipment for the tour, including a helmet and harness. Users are required to wear a helmet for all Zip Line activities. What is the Zip Line Adventure? Zip Lining is a outdoor adventure activity where a person flies in the air over a course, while physically attached to a cable by a wearable harness. Beaumont Ranch provides a professional version of the zip line, unlike the "flying foxes" that are seen on playgrounds or small amusement parks. Professional zip lines operate a higher speeds, cover longer distances, and are generally at a greater height over the course. When you start your zip line adventure, one of our professionals on the Beaumont staff will provide you training on the proper form and approach to complete a zip line run. You will then be guided on a practice run on the shortest line. 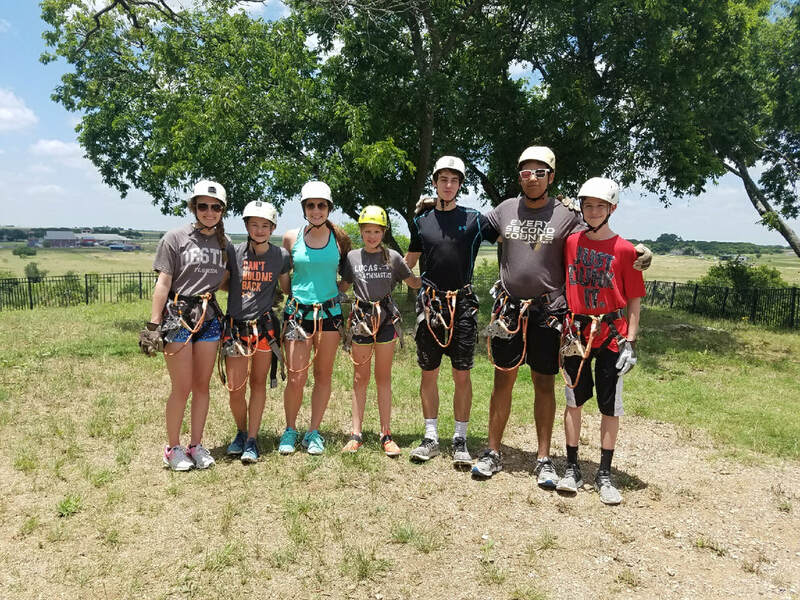 Once you have successfully completed your training, you are able to ride the 5 unique zip lines offered at the Ranch, including the Ranch Rocket, a 1,500 foot long run that is one of the longest zip lines in Texas! ATV stands for all-terrain vehicle, also known as a quad, quad bike, three-wheeler, four-wheeler, or quadricycle. The rider operates the ATV like a motorcycle, but the extra wheels and low-pressure tires ensure it can be used on a wider variety of terrain and speeds than other vehicles. Is the Beaumont Ranch ATV tour challenging? With proper knowledge and training on the part of the operators and good maintenance, beginners will be able to complete the tour, but it is challenging terrain. Even more experienced riders will find the Ranch lands quite an adrenaline rush. Is the ATV Extreme Tour for people that have limited mobility? ​The ATV Extreme Tour is more physically challenging than one would expect, and requires a person to be prepared for a more atheletically challenging ride. Is the ATV Extreme Tour good for families or groups?